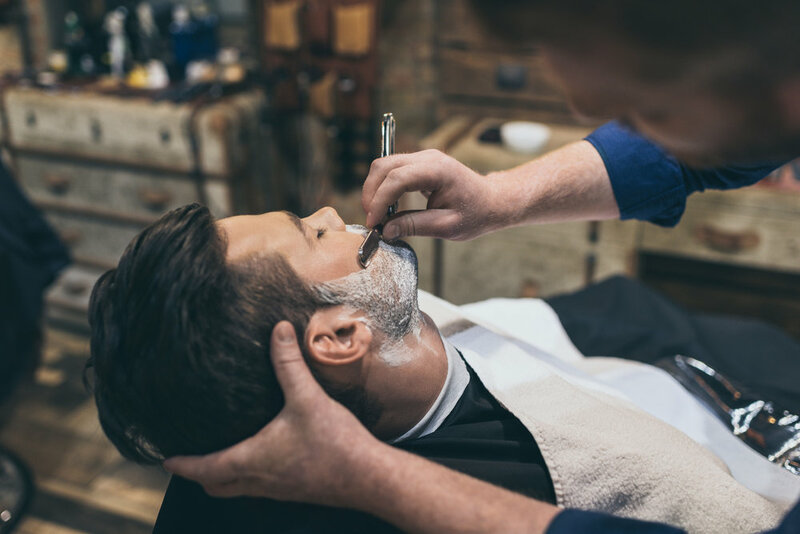 Le Barbier d'Bourbon was born in large part as part of the quest for the perfect shave and our shave line remains near and dear to our hearts. Designed for barbers & wet-shave enthusiasts with straight razors or safety razors this collection works equally well with disposable multi-blade cartridge razors. Prevents razor burn & bumps everywhere you shave while keeping your beard & skin underneath healthy, clean, and soft. Rich Sandalwood Scent. Provides a Barber Close shave every day, perfect for use with a brush and bowl. Rich Sandalwood Scent. Promises the ultimate in Wet-Shave Luxury even without a brush. Pairs well with straight & double edge razors. Rich Sandalwood Scent. Get CLEAN with your Le Barbier d'Bourbon Tea Tree & Sandalwood Hair, Beard & Body Shampoo, Apply your Le Barbier d'Bourbon SLIDE Combination Pre-Shave and Beard Oil, shave with your choice Le Barbier d'Bourbon WHIP shave cream or PUCK Shave Soap, and finish with your Le Barbier d'Bourbon SOOTHE aftershave lotion.